Heidi Neilson is a New York-based contemporary artist, best known for her publishing-based work and various collaborative projects. Heidi Neilson was born in the Pacific Northwest region of Oregon, US. In 1991, she graduated with a BA in Biology from the Reed College, in Portland. Later, Neilson received her MFA in Painting from the Pratt Institute in Brooklyn, New York. 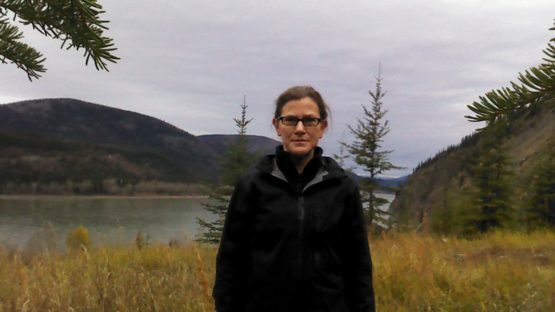 With degrees in both biology and painting, Heidi Neilson is an unusual and diverse artist. Her art investigates themes of weather, astronomy, cosmos, urban infrastructure, and cultural landscape of outer space. Her work is often collaborative, ranging from public projects and installations to book-publishing and prints. The example of Heidi Neilson’s interesting and unique process of creating books is her Block of Alleys publication. Inspired by her Queens neighborhood full of small warehouses and apartment buildings, the artist made a foldout book of etchings depicting every alley in her block. 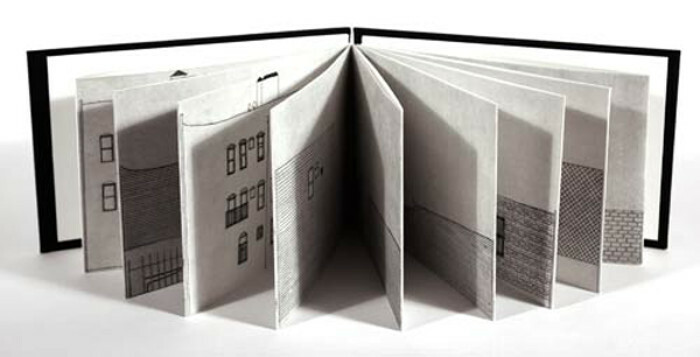 Single fold of the book contains a single alley, with the buildings on each side facing one another. By unfolding the whole book, the viewer is confronted with the entire walk, composed alley after alley, as a panorama. 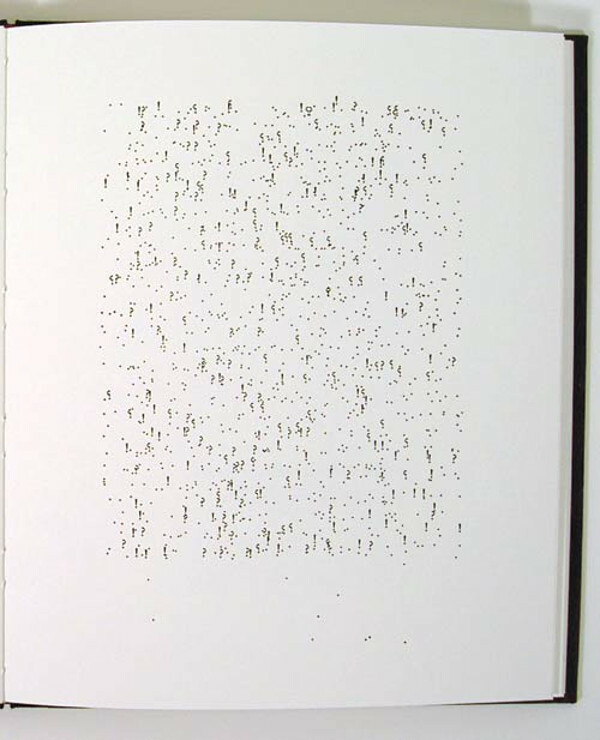 Another example of Heidi Neilson’s unusual book publishing is her Atlas of Punctuation. The atlas represents the distribution of all end-of-sentence punctuation that Neilson traced in 14 different literary classics that convey qualities of space and scale, such as the Little Prince and One Hundred Years of Solitude. Punctuation signs from individual books are placed on a single sheet, constructing weirdly beautiful clean vector graphics. These graphics can be considered as a map of the book, in which the distribution of punctuation can be offhandedly informative, describing the books from a different perspective. Founded in 2007 by two artists, Heidi Neilson and Natalie Campbell, SP Weather Station is an interdisciplinary project, created with an idea to collect weather data, host various guest lectures, and organize weather-related magazines, events, and exhibitions. The project gathers artists and weather enthusiasts around the world, and each year publishes various collated prints, booklets, drawings, audio files, photo and video material. As an open-ended assignment, the invited artist or artists group is asked to strictly or loosely ‘report’ on the weather data taken by SPWS instruments, stationed on the roof of Flux Factory in Long Island. By recording its area’s environmental conditions using new and historical technologies, SPWS contributes in some of the many ways people have, throughout the course of history, made their own weather and climate observations. 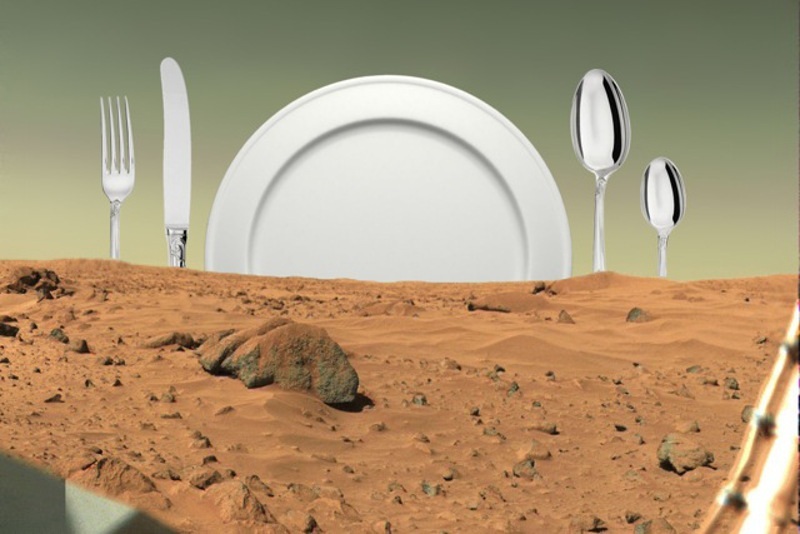 Her recent projects include Menu for Mars Kitchen and Ground Station. Art of Heidi Neilson has been included in over 60 museum, university and private collections, such as the Brooklyn Museum Library, Columbia University, Museum of Fine Arts Boston Library, Museum of Modern Art San Francisco Library, Nevada Museum of Art, New York Public Library, Otis College of Art & Design, Pratt Institute, Stanford University, Vassar College, Washington University Library, Wesleyan University, and Yale University. Neilson’s work, over the course of years, has been supported by many foundations and art institutions, including the Art Matters Foundation, the Bronx Museum of the Arts, the Center for Book Arts, the College Book Art Association, The Drawing Center, Flux Factory, I-Park, the International Print Center New York, the Islip Art Museum, Kala Art Institute, the Lower Manhattan Cultural Council, the Lower East Side Printshop, Provisions Library, the Queens Museum of Art, Visual Studies Workshop, and Women’s Studio Workshop. Heidi Neilson has also received many awards and grants for her work. Her most significant acknowledgments include two artist’s book publishing grants from Women’s Studio Workshop, for her books Atlas of punctuation in 2004 and Orbital debris simulator in 2010. In addition, Heidi Neilson is a member of the ABC Artists’ Books Cooperative, and a co-founded SP Weather Station. Heidi Neilson currently lives and works in New York.